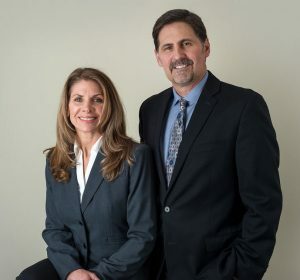 We are an integrative health consulting practice with over 30+ years combined experience in Naturopathic, Biomedical Intervention, Functional Diagnostic, and Osteopathic Medicine. Our scope of practice is vast working with individuals across the United States and Internationally with a wide variety of health issues from autoimmune disorders, autism, and chronic fatigue, to women’s health and hormone imbalances, mental health challenges, Rheumatoid Arthritis, and Multiple Sclerosis. Our approach is to offer unique and individualized health assessment programs that include cutting-edge diagnostic testing, targeted nutrient therapy, supplement and detoxification programs for optimizing health. Your health is our first priority. You deserve answers and real solutions for your health challenges. Today, traditional medicine is in crisis; there is little time for personalized care and a lack of vision to look outside the box for equally effective health solutions using the principle of Integrative Medicine. Whether you are looking for help with your special needs child, or wanting to assess hormone, thyroid, and adrenal imbalances for yourself, or perhaps seeking answers regarding optimal health and fitness, we take the time to listen and properly address your concerns and put you on the right path to healing. We look forward to helping you in your pursuit of health and wellness.